Dental bridges are among the most time-tested and highly effective treatments in the long history of restorative dentistry. For patients who are missing between one and three consecutive natural teeth, dental bridges offer the opportunity to restore form, function, and health to their mouths. 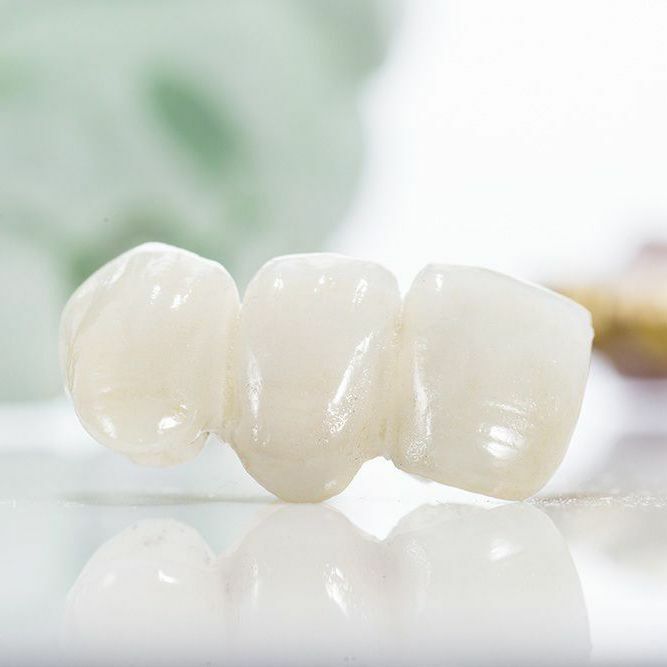 Modern dental bridges, composed of the finest porcelain and other high-grade materials, are so strong, durable, and natural looking that they are virtually indistinguishable in their look, feel, and operation from the teeth they are replacing. This is particularly true of bridges that are secured by state-of-the-art dental implants. At Signature Smiles, Drs. Cristin Dowd and Ken D. Wu are pleased to offer both traditional fixed and implant-supported dental bridges of the most unsurpassed quality. They carefully evaluate dental bridge candidates during consultations at their Woodinville, WA cosmetic, restorative, and general dentistry practice to determine which type of dental bridge is best suited to their unique cases. Based on this evaluation, they then recommend the treatment plan that is likely to produce the best possible results. Most patients who are missing one to three natural teeth on a single arch are good candidates for a dental bridge. To find out if you are a good candidate for a bridge, we encourage you to schedule your initial consultation with Dr. Dowd or Dr. Wu at Signature Smiles today. What is a dental bridge exactly? As its name suggests, a dental bridge literally bridges the gap between natural teeth that was once occupied by teeth that are now lost. It does this by replacing them with artificial teeth called pontics. These pontics are crafted from ceramic to blend seamlessly into the smile, complementing surrounding natural teeth in terms of their size, shape, color, and even texture. The pontics are held in place by dental crowns. In the case of a traditional “fixed” dental bridge, these crowns are affixed to the natural teeth adjacent to the gap, which requires that these teeth are filed down to accommodate the crowns. While this method is effective, it is also less than ideal. With implant-supported bridges, however, the dental crowns are held in place by tiny titanium posts that are surgically embedded into the jaw. These implant posts integrate with the bone over time, acting as artificial tooth roots for the crowns and providing support of unrivaled strength and stability for the bridge. The vast majority of patients who are missing between one and three consecutive teeth are good candidates for dental bridges. Candidates must also be in good overall health. Patients with advanced gum disease must undergo periodontal treatment before the dental bridge can be placed. Patients who choose to be treated with traditional fixed dental bridges must have natural teeth that are structurally sound enough to accommodate the dental crowns that support the bridge. Patients who choose to be treated with implant-supported bridges must have sufficiently dense jawbones to support the dental implants that anchor the dental crowns. Patients whose jawbones have deteriorated due to tooth loss will have to undergo a bone grafting procedure prior to implant placement. To be considered a good candidate for any procedure at Signature Smiles, a patient must understand and accept all of the risks associated with the procedure and be willing and able to follow pre- and post-procedural instructions to the letter. To find out whether you are a good candidate for a dental bridge, please contact Signature Smiles today.